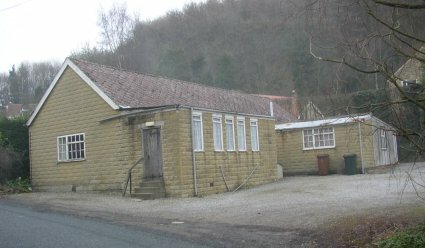 Our old village hall had served us very well for nearly 80 years but it had reached the end of its useful life. There were badly leaking flat roofs over the ancillary rooms, and mould and damp patches on the walls and floors. It was decided to demolish the hall and replace it with one built by our own efforts. To meet the requirements of the bat survey demolition started on March 2nd 2009. Urgent fundraising went on and sadly our lottery bid was turned down. Demolition began on March 2nd 2009, rebuilding began straight away with many people in the village helping. 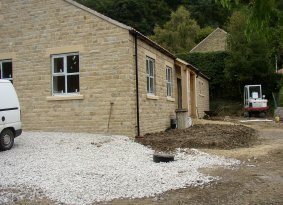 The new hall is built of attractive stone and has a pantiled roof.